Member of hit Broadway Musical FELA! Ballet Creole Studios – 375 Dovercourt Rd. Ismael Kouyate hails from a family of renowned artists and praise singers in Guinea West Africa. He performed with Guinea’s national companies, Les Percussions de Guinea and Les Ballets Africains. The Gas Station Theatre will be the venue for an evening of percussion, chants and highly energetic African inspired movement as well as rhythm driven choreographies. NAfro’s Artistic Director Casimiro Nhussi will present his new work “There is room for one more dance” and his solo dance “Xilongo” (shilongo) which was premiered in Maputo Mozambique. Under the unity of the PATANA banner Charmaine Headley, the Co-founder for Toronto’s African-Caribbean dance company COBA, will also present her new work “Portage”. 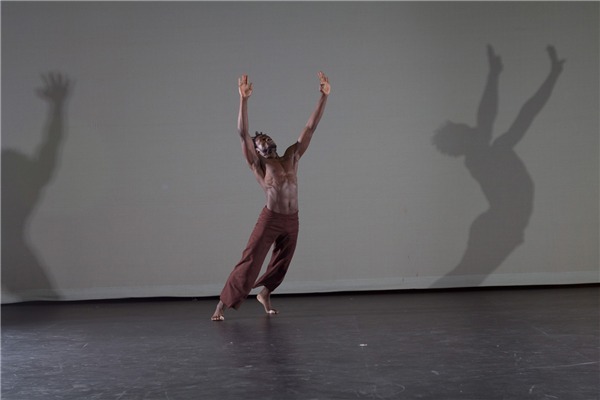 Patana features seven dancers and nine musicians; dancers: Casimiro Nhussi, Paula Blair, Nicole Coppens, Helene Le Moullec Mancini, Robyn Thomson Kacki, Paige Lewis, and guest dancer from Mozambique Sale Almerante Roberto. Musicians: Dave Brown, Roger Cloutier, Tim Church, Kelly Leveille, Cam MacLean, Casimiro Nhussi, Jay Stoller, Binasio Wani, and guest musicians from Congo Ewingi B. Kiki. Hang onto your seats; this is going to be an incredible event! Patanaruns at 8pm on Nov. 3rd, 4th, 5th, and at 2pm on Sunday Nov. 6th, at the Gas Station Theatre, 445 River Avenue at Osborne Street. Tickets: $20 adult, $18 senior and students, $12 children under 12, available at the Gas Station Theatre (cash only), online at www.nafrodance.com and cash at the door. This email was sent by NAfro Dance, 109 Pulford Stree, Winnipeg, MB R3L 1X8, using Express Email Marketing. You were added to this list as ani_agrawal@hotmail.com on 9/20/2011. ← New and Free Webinars & Workshop on Accessible Customer Service!